Submit your story by Feb. 15, 11:59pm, for a chance to perform on stage at the Marble Bar on March 21. Learn more at startupstorynight.com. The New Economy Initiative (NEI), in partnership with Model D Media, is excited to announce the 3rd-annual Startup Story Night. This year’s theme? “Don’t Call It a Comeback!”We’re looking to hear your stories of taking your business back from the brink and overcoming startup woes. Four lucky storytellers will have the opportunity to workshop their stories with host Shannon Cason, a Moth MainStage storyteller and GrandSlam champion, before performing to a live audience at the Marble Bar on Thursday, March 21, 2019. 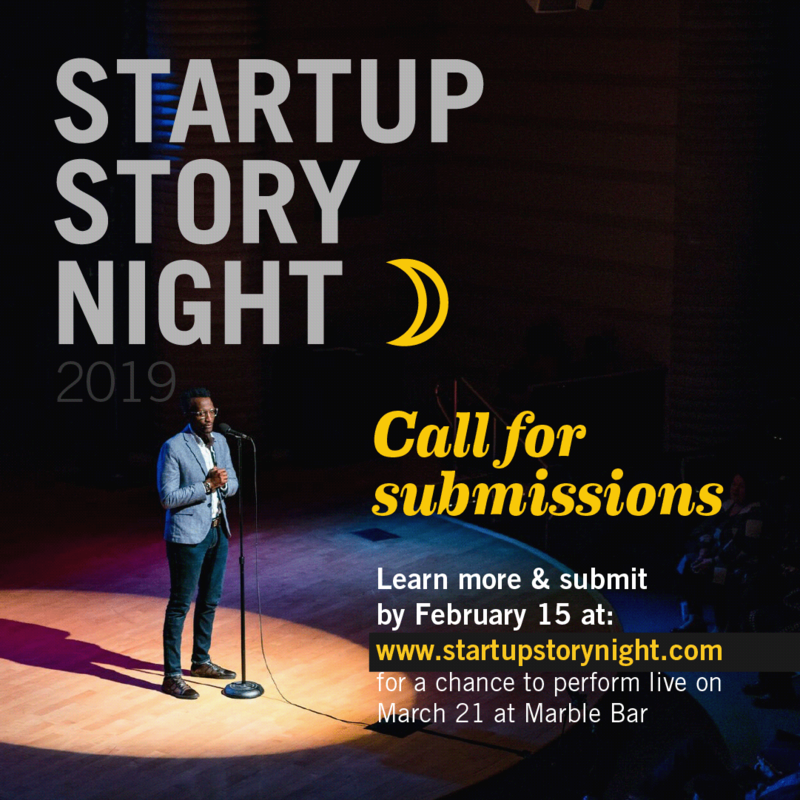 Share your story at startupstorynight.com by 11:59 p.m. on Friday, Feb. 15, 2019, for a chance to present at this year’s event.